Commenting at the launch of the Simon Community for Dublin, Wicklow, Kildare and Meath Annual Review 2014, Sam McGuinness of the Simon Community said that the Government’s response to the housing and homeless emergency has been too little and too slow to stem the unrelenting tide of homelessness. 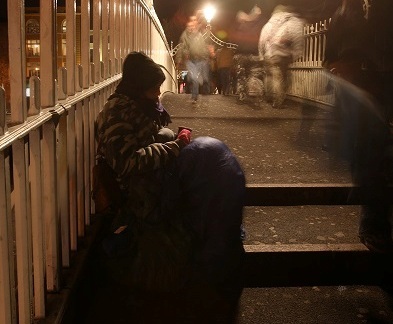 One year on from concerns they expressed at their 2013 Annual Report launch, the charity said that there is now a humanitarian crisis as numbers rough sleeping and in emergency accommodation reaches unprecedented levels in Dublin. The Simon Community, in Wicklow, Kildare and Meath met with 387 people who were homeless or at risk of becoming homeless in 2014. A 12 % increase in the year. The Simon Community Homeless Support Service provided part time outreach, prevention and move on options to 33 cases in Meath. 21 cases prevented people from loosing their tenancy and securing their accommodation. Sam McGuinness continued; “There are little or no options for single person or a family to find private rented accommodation in Meath. A single parent with two children entitled to €600 in rent allowance, can be seeking a two bedroom property in Navan where the minimum asking price can be €700 per month. Rent supplement levels have not changed since June 2013 yet rents have increased in Meath by 14%. Sam McGuinness said that Simon Community is vigorously working with the resources at their disposal, to do everything possible to respond to the ever growing demand for housing and services. Dublin Simon Community provided services to over 3,000 men, women and children across Dublin, Wicklow, Kildare and Meath throughout 2014. 59% increase in accommodation capacity, through acquiring and opening new properties. Our Soup Run conducted by Simon part-time volunteers, who are out 365 nights a year, distributed over 50,000 sandwiches, hot drinks and snacks to people sleeping rough on the streets. Over 200,000 meals were provided across our residential services. Over 70% of clients accessing our services were deemed “long term homeless” having been homeless longer than 6 months. Our Rough Sleeper Team spent over 6,000 hours engaging with the growing number of people living on the street, providing essential services and interventions. Over 400 people accessed our newly opened Tenancy Advice Services.